The Trent Bridge is one of Burton’s most destinguishing features. It has a history almost as old as Burton itself. 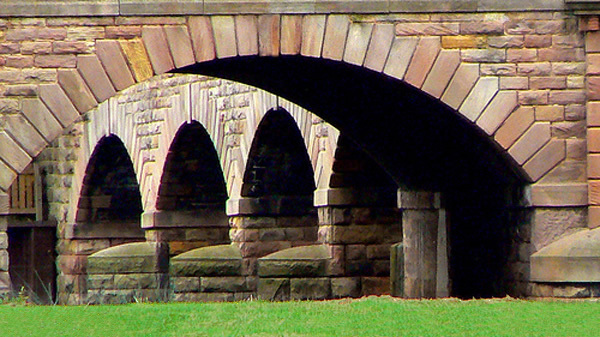 The current Trent Bridge was only built in 1864, replacing an earlier one which was a little further downstream. If, like me, you marvel at the foresight of it being built large enough to accommodate today’s traffic, you will be similarly surprised to learn that in fact, up until 1926 it was only half its current width when it was widened to cope. The tramway that used to traverse it only had a single track to handle both directions of Stapenhill and Winshill as well as the Burton and Ashby Light Railway trams requiring careful timetabling!